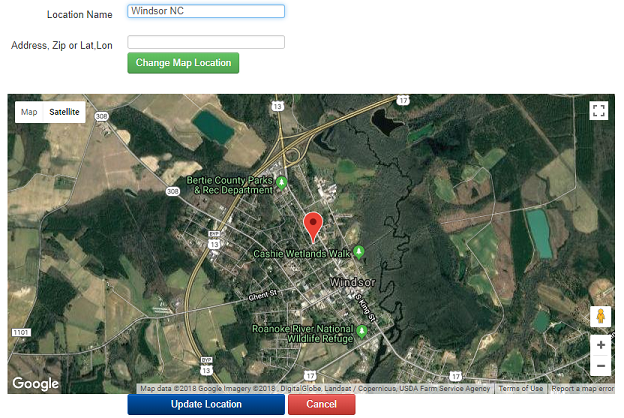 Easily add your locations using the Google Maps interface. Upon entering your address, zip code or even your latitude and longitude, you can pin point your precise location. Enter your descriptive location or project name to track both rainfall events as well as forecast rainfall for that area.